"I love 4ou., Bo Peep"
rooted hair. Wt. l lb. 4 oz. rooted hair. Wt. 15 oz. has her own 16-page storybook. 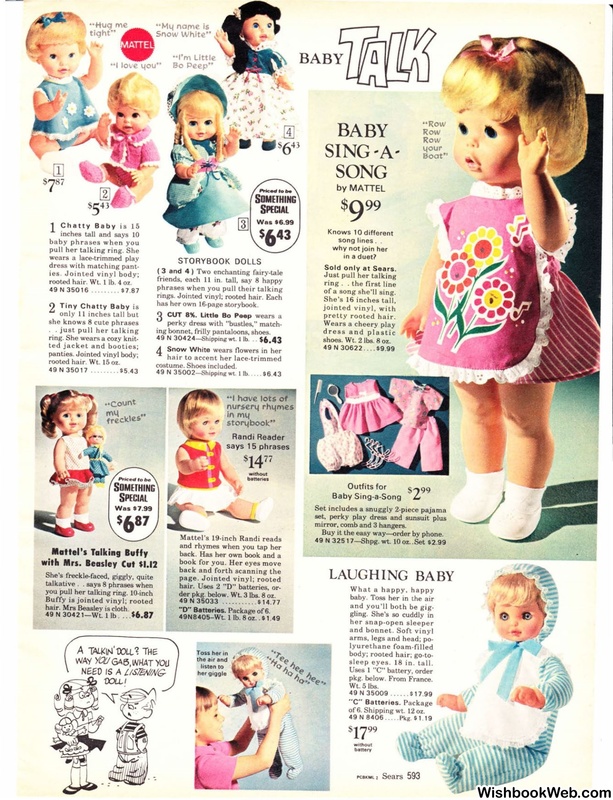 ing bonnet, frilly pantaloons, shoes. 49 N 30424-Shippingwt. 1lb.. .
of a song she'll sing. sleep eyes. 18 in . tall. of6. Shipping wt. 12 oz.